SEOUL, SOUTH KOREA, November 5, 2018 /EINPresswire.com/ -- The decentralized blockchain technology transcends borders and establishes a transparent service environment. The reality, however, is that service-based blockchain platforms are lacking in number. HYCON, short for Hyperconnected Coin, is the blockchain platform developed by Korean blockchain company Glosfer. Hycon created the genesis block in January 2018 and announced the successful launching its mainnet on June 1st, 2018. 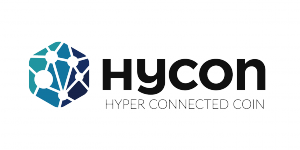 At present, Hycon is beginning to commercialize the core technology of Hycon’s ecosystem. HYCON overcomes the limitations of existing blockchains by providing faster throughput, scalability, and flexibility. Blockchain products that solely function as cryptocurrency have not been able to create positive value so far. Blockchain that can be used in real life like HYCON is the best way to expand and develop the blockchain ecosystem.
" Evolution of the HYCON Blockchain"
Let's focus on HYCON's outstanding blockchain technology. HYCON announced the successful update of the GHOST Protocol on October 31st, 2018. With this update, HYCON can process a minimum of 200 transactions per second, and will be able to handle over 3,000 transactions per second once the SPECTRE protocol is implemented. Hycon is expected to release its "smart contract" within the year. Hycon’s implementation of SPECTRE and smart contract is expected to raise the international status of Korea's blockchain industry. We are currently discussing use of Hycon on the virtual machine of Azure, Microsoft’s Cloud Service. This will allow all developers easy access to Hycon’s blockchain technology and establish a firm foothold for the development of the HYCON network. Implementation of Hycon on Azure will be a significant example that showcases HYCON's capability. "Expansion of the HYCON Blockchain"
Glosfer worked with a local government in Korea to launch the world's first blockchain local cryptocurrency "NOWON," and initiated the development of local currency in Seoul, Busan, Gyeongbuk Province and Jeju Island. Glosfer has worked hard to spread the use of blockchain in public institutions and government projects. Successful project implementations include the Yeongdeungpo-gu Proposal Evaluation System, the Ministry of Maritime Affairs and Fisheries Port Management System and the Korea Copyright Association Sound Source Service Distribution Platform. Glosfer began to provide joint blockchain services, starting with an MoU with KCC Information and Communication in December 2017. In April 2018, the company launched a blockchain-based electronic contract service through an MoU with BusinessOn. In May, Glosfer signed a contract with Coinvil to establish a cryptocurrency exchange in the Philippines and received approval by the Central Bank of the Philippines. HYCON is also expanding business in the finance industry. In July, Glosfer signed agreements with Shinhan Card and Apro Service Group to operate blockchain-based financial service businesses. In September, the company signed a strategic agreement with Cyworld and is actively supporting Cyworld’s blockchain social media platform and cryptocurrency "CLINK." In August, Glosfer has signed an MOU with domestic delivery app service Shuttle Delivery and hopes to launch on-line payment using Hycon on Shuttle’s website by November. Glosfer also established in-house venture company 'Block Chain C & S' to promote a bio health business based on Hycon’s blockchain technology. Token Economy is designed to improve the shortcomings of the conventional economic structure and provide proper compensation to all participants through a blockchain-based ecosystem. HYCON aims at creating a reasonable network where participants develop and maintain the ecosystem directly through trial and error. The incentive for participants in HYCON blockchain network to become more active throughout the process will serve as the driving force for the network to continue to evolve. "Taking on Fresh Challenges to Advance the HYCON Ecosystem"
Glosfer, the mother company of team HYCON, is a first-generation blockchain company in South Korea. In operation since 2013, the company has increased its expertise in blockchain, international remittance services and exchanges. Currently, it has the largest number of blockchain application cases in Korea. Glosfer has implemented blockchain-based services in public institutions, the healthcare sector and the copyright business. Now Glosfer is implementing the Hycon platform in real life and working on advancing the technology through cooperation with various institutions and companies. HYCON’s blockchain platform has outstanding technology and specialized blockchain network that can be applied to different business fields in public and private sectors. The utilization of Hycon’s blockchain technology will help companies operate a more efficient system. Starting on OKEx in July 2018, HYCON was subsequently listed on Bit-Z and OKCOIN Korea. In November, it will be listed on a Korea Exchange. HYCON's token economy will be further innovated through upcoming events such as buyback, coin burn, and reduction of mining volume. More information will be available at Team HYCON’s YouTube channel after November 7th.